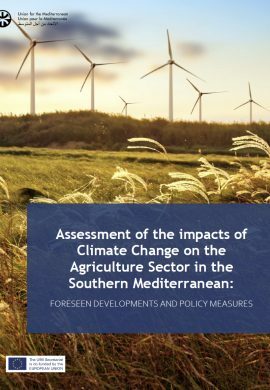 The Mediterranean countries face today common energy and climate challenges that require a high level of multilateral responses and collective actions. A reinforced cooperation in the energy and climate action fields is needed and represents an opportunity for both shores of the Mediterranean to achieve the ultimate goal of fostering the integration and the social and economic development in the region. The Union for the Mediterranean acts as a unique platform to facilitate and promote regional dialogue and cooperation as well as concrete projects and initiatives in the fields of Energy and Climate Action in order to deal with energy and climate change challenges in the region while advancing towards more secure and sustainable energy models. Promote a Mediterranean agenda for energy as well as for climate action linked to the global agenda and the international fora. Reinforce and animate a structured regional dialogue on energy and climate action among Member States, regional organisations, financial institutions, civil society, private sector and experts.